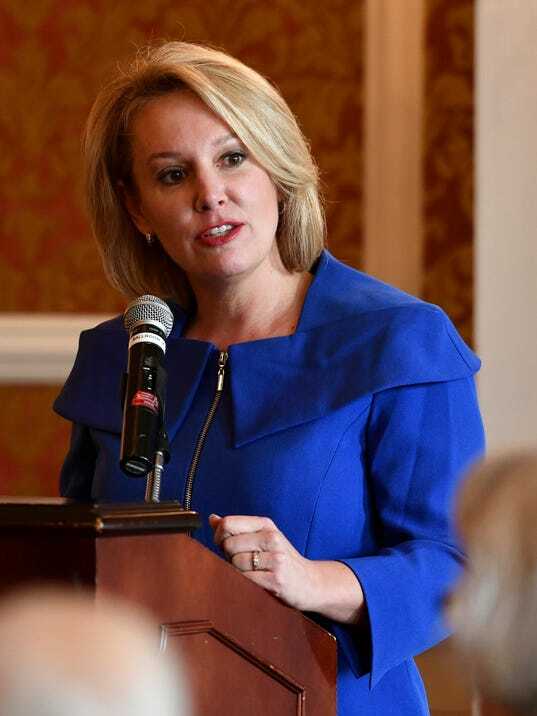 Republican Catherine Templeton vowed Tuesday that she will defy federal bureaucrats and jam cell phones at South Carolina prisons if she is elected governor. South Carolina officials have spent years unsuccessfully seeking to persuade the Federal Communications Commission to allow them to jam cell phone signals at the state’s prisons. The issue is in the spotlight after authorities said that cell phones likely played a role in a violent outburst Sunday night at Lee Correctional Institution that led to the deaths of seven inmates. But the founder of a Maryland-based company that provides telecommunications services to prisons and cellular operators said Templeton can’t fulfill her pledge. Jay Salkini, CEO of Tecore Networks, said federal law prohibits the sale or importation of equipment that could be used to jam cell phones at prisons. The problem with this technology, he said, is that it prevents cell phone users near prisons from making emergency calls. Templeton also said Tuesday that she “will push for legislation allowing firing squads for court-ordered executions,” according to a policy statement issued by her campaign. “We must make the death penalty swift and final,” said the Charleston attorney in her “Treat criminals like criminals” policy statement. An Upstate Republican legislator, Rep. Joshua Putnam of Piedmont, introduced a similar proposal in February but it has not advanced in the state House of Representatives. In March, the state Senate also rejected a proposal to include firing squads as a means of execution. Templeton criticized Republican Gov. Henry McMaster in both her policy statement and radio interview. “Under Henry McMaster’s watch, prisoners have been rioting and jumping fences. They use cell phones to get access to drugs and contact criminal cronies,” she said in her policy statement. McMaster’s campaign spokeswoman, Caroline Andergg, fired back Tuesday night. She accused Templeton of trying to take advantage of Sunday’s violence at the state’s largest maximum-security prison. ​”Governor McMaster has locked up scores of criminals during his career as U.S. attorney and South Carolina attorney general, and as governor he has led the charge in giving prisons the resources they need to be secure and keep contraband out of the hands of prisoners.” she said.